Love this! 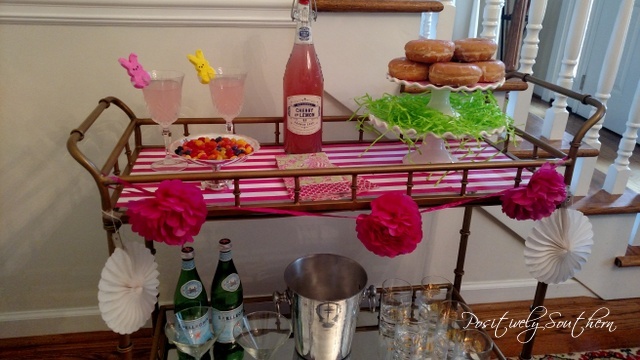 My sorority colors are pink and white- your bar cart would be ideal for an alumnae function! 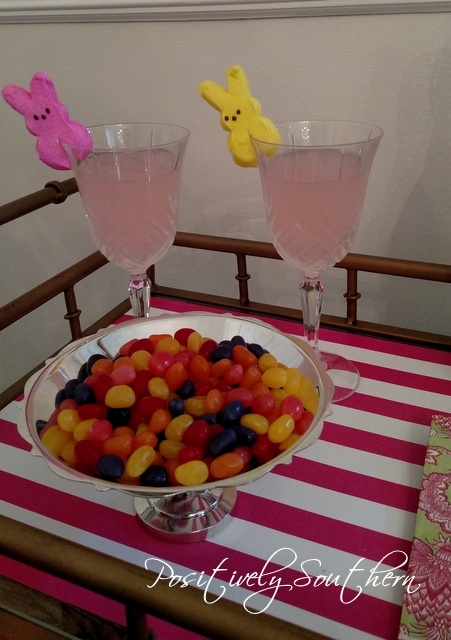 I love your bar cart and you did a great job with all of that color!! 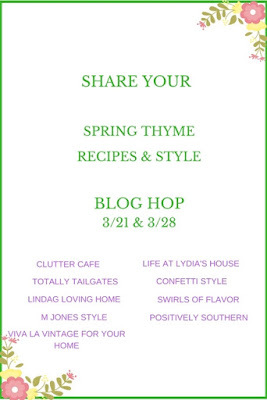 Thanks again for all of your work in putting the blog hop together! 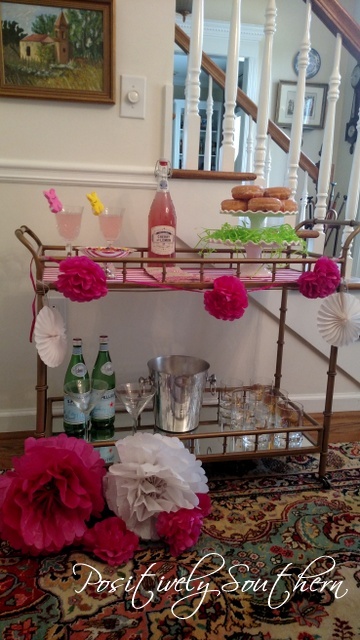 Loving your fru-fru bar cart! Thanks for all of your guidance and help with the Blog Hop, it's been fun. Cute cute cute! 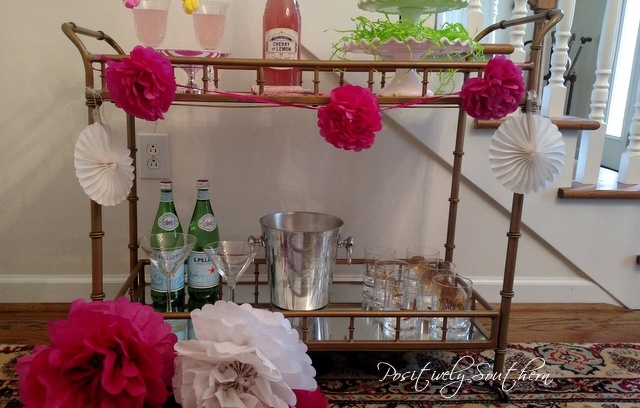 When you decided on a bar cart, you went for the gusto! Love this one and the size! 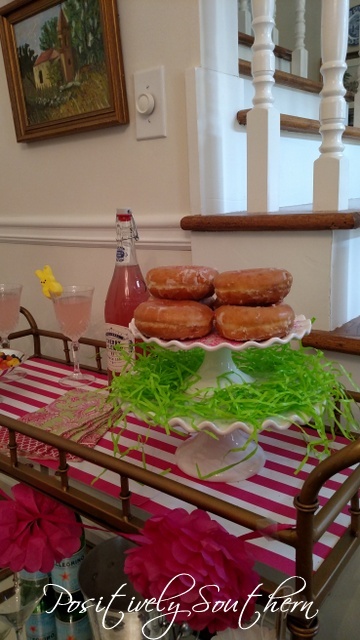 Lots of room to display everything and you have dressed this charmer in beautiful southern style.